The puntacana-information-guide.com official Victoria Golf and Beach Resort Review will be up shortly, but here is a description of the amenities at this resort. If you have any further questions about the resort, feel free to contact us at any time. Puerto Plata All Inclusive Resorts have been attracting European vacationers for decades, mostly because of the area’s accessibility, reasonable pricing and pristine beaches. North American travelers have discovered Puerto Plata All Inclusive Resorts and have been flying to them in droves. Puerto Plata has everything that you’re looking for in a Caribbean beach vacation – beautiful beaches, warm Caribbean waters, cultural attractions and a trip to Puerto Plata All Inclusive Resorts usually comes in at fractions of what you’d pay at other destinations. 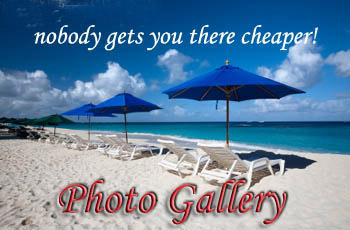 Even less if you book with All-Inclusive-Resorts.com! This resort has just reopened in 2005 after a monstrous remodel of the complex and now qualifies as a new Caribbean luxury resort. 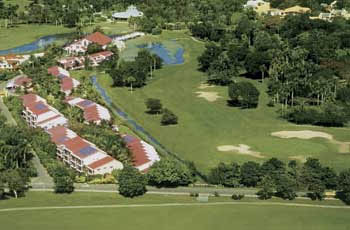 The Victoria Resort Golf & Beach - a charming, smaller resort - Officially re-opened on December 23rd, 2005 after a complete multimillion-dollar remodeling! with the new name Victoria Golf & Beach resort, focused on the golf and honeymoon market. Golfers will enjoy reduced rates at the adjacent 18 hole Robert Trent Jones Sr. golf course, as well as the service of a personel golf concierge. Honeymooners (or those of you on a second honeymoon!) may want to upgrade to the ultra-romantic honeymoon suites with a shower built for two and a jacuzzi on the balcony! Clients will be able to choose between "all inclusive" and "bed & breakfast" meal plans. The resort features 190 beautifully adorned and newly decorated rooms including standard, superior, junior suites, honeymoon suites and suites each with an expansive balcony or terrace and most offer a view of the golf course. Victoria Golf & Beach Resort offers a la carte dining daily. From traditional Mexican dishes and gourmet pizzas to authentic international cuisine, each restaurant is bursting with flavor. When it comes to relaxing with a cocktail, the choices are just as enticing. 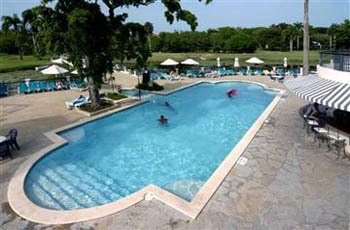 Guests may choose from four bars including a pool bar, beach club bar, Lotus Club bar and La Cascada bar. Guests may enjoy a Manager's Cocktail Party each week. El Lago Cafeteria offers a bountiful selection of international dishes in a gracious yet casual setting. 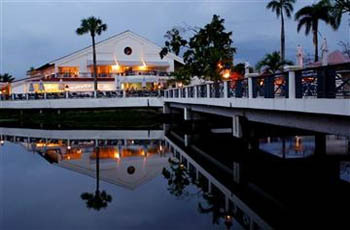 This buffet style restaurant encompasses striking views of the golf course and pool area. Open for breakfast, lunch and dinner with optional a la carte service during breakfast and dinner. No dress code (bathing suits are not permitted, shoes are required). Jardin Victoria Restaurant is famous for its beautiful setting and extraordinary international cuisine, reservations required. Dress code: casual elegant (shorts not permitted). Pizzeria "Mozzarella" specializes in tasty brick oven dishes with a gorgeous view of the flower-filled lake. Dress code: casual (shorts not permitted). Victoria Beach Club rests on the on the most active section of Playa Dorada Beach and features flavorful Mexican and American dishes and drinks. No dress code. 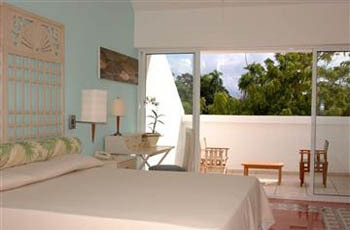 Directly on Playa Dorada Beach adjacent to the Playa Dorada Golf Course and just minutes from the Puerto Plata airport. Anxious for your trip to Victoria Golf and Beach Resort? Hit any of the "Get Quote" buttons on the page and we'll send you a booking confirmation form or give us a call toll-free and we'll answer any questions you may have. Let's make that dream vacation a reality - join the Punta Cana Information Guide Family. Do your own Victoria Golf and Beach Resort Review this season!